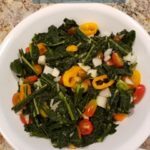 Is pain preventing you from doing everyday tasks? Are you unable to take part in the activities you love? 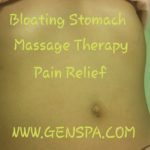 Get your life back in order with Gen Spa we do an excellent job of relieving the hip pain. Our deepest hip flexor, the Psoas muscles, is directly connected to our lumbar spine. So if our hip flexors tighten, they will begin to tug uncomfortably at the lower back spine, this causing stiffness and achiness in the lower back and uncomfortable hip pain. Blood flow is the most critical element in rapid healing, Generosa from Gen Spa designed to promote healthy blood flow to your injured tissue, accelerating the healing process. Her technique focuses in bringing a good flow of blood to the injured area. Her treatment will dissolve pain as she apply pressure. Generosa’s technique will help you heal your hip flexors as quickly as possible in just a matter of few visits. Try Gen Spa treatments to stimulate blood flow and heal your Hip Flexors as quickly as possible.